The chairman of a Chinese auto parts supplier that defaulted on bonds last week appeared at a creditor meeting Tuesday, offering a little relief to investors worried that they won’t be able to get their money back. Shenzhen-listed Kangdexin Composite Material Group Co. Ltd. is the latest defaulter in China’s wave of bond defaults. The supplier of automaker BMW AG has failed to repay principal and interest on a total of 1.55 billion yuan ($230 million) of debt. 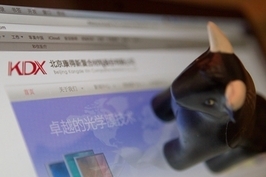 The default has raised doubts about the credibility of the company’s financial statements, which showed it held more than 15 billion yuan in cash and bank deposits just four months ago. At the bondholders meeting Tuesday, Kangdexin Chairman Zhong Yu explained that nearly 10 billion yuan of the company’s cash reserve was used for its parent company’s investment projects and to cover losses related to pledged stock as a result of a plunge in the stock price after the bond default. 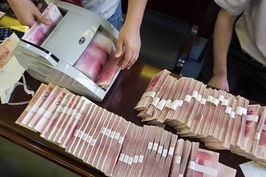 Some bondholders estimate that the actual available cash of the remaining 5 billion yuan might be limited as well. The company said its solvency was hurt by banks requiring early payments on loans. Last October, the local government asked lenders not to demand early payments from the company. 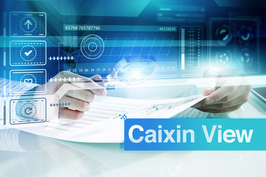 According to a meeting agenda obtained by Caixin, the bondholders asked the company to raise money to repay all the overdue principal and interest by Feb. 15. Prior to that date, additional pledges or guarantees should be provided, and Zhong should provide an irrevocable joint liability guarantee, the bondholders required. Zhong said it would be very difficult for the company to repay the debt by Feb. 15 but said he is willing to provide a personal guarantee. While some bondholders welcomed this gesture, other holders told Caixin that Zhong didn’t specify when he would fulfill his obligation, nor did the meeting specify how the overdue interest would be calculated. Kangdexin is based in the city of Zhangjiagang in the eastern province of Jiangsu that borders Shanghai. In recent years, it has supplied automakers such as BMW and Mercedes-Benz with carbon fiber composite materials, according to its annual reports. 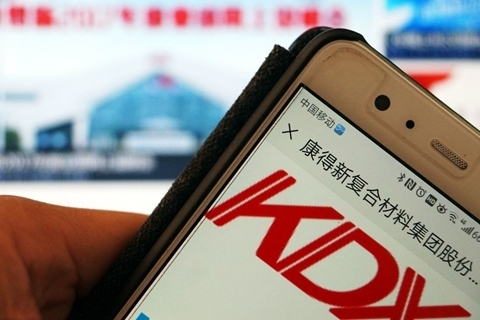 Before the default, the local authority of a district in Zhangjiagang along with a wholly owned subsidiary of Kangdexin jointly issued a notice designating a third-party company to manage the funds in and out of the subsidiary, due to the financial difficulties of Kangdexin’s major shareholder. Kangdexin's biggest shareholder is Kangde Investment Group with a 24.05% stake. The move raised concerns about whether the arrangement will allow Kangdexin to further delay its debt repayments, or even spin off the profitable subsidiary. The subsidiary, Zhangjiagang Kangdexin Optronics Material Co. Ltd., is widely seen as a major repayment source of Kangdexin. It contributed nearly two-thirds of Kangdexin’s profits in the first half of last year, according to the listed company’s financial statement. At Tuesday’s meeting, the bondholders asked the company to disclose detailed information on the subsidiary’s fund flows from last October to Jan. 15. The bondholders also urged the local government to offer a helping hand to the company. Last November, Zhangjiagang Investment and Development Group, a government-owned investment company, said it planned to bring in as much as 2.7 billion yuan of capital to resolve the liquidity issues of Kangdexin’s controlling shareholder. The strategic cooperation is said to be still in progress, but it’s not clear whether the capital injection has been realized, according to a person close to the company’s bond underwriter. The bondholders want the 2.7 billion yuan bailout in place by the end of this month and to be used first for repayment of bonds. But a person close to the Zhangjiagang government told Caixin that the bailout fund is supposed to be for production and operation activities and can’t be used to repay debt.